Most of us don’t realize that the activeness in updating your FB posts determine the level of your commitment in doing it right to the fan page eyes. 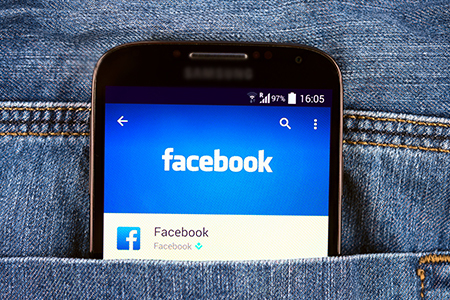 With a very detailed and planned strategy in every sections available in your page, the management of your Facebook will look much better than before. Our clients seem to agree with us as well. 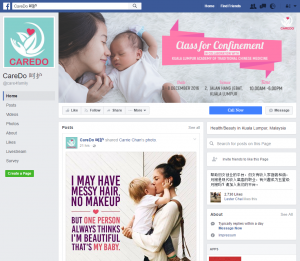 As an active organization that gives health talk to mothers or babysitter, Caredo needs constant management of their Facebook in order to spread info about their services. We are part of their effort in doing so. iTag Solutions is an innovative mobile app development company creating cutting edge apps to solve daily problems, simplify frustrating activities, and bring convenience into the palm of your hand. 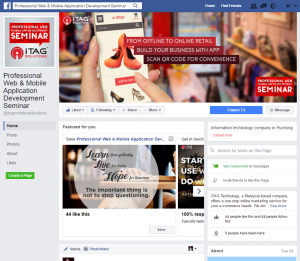 What we did for them was simply elevating their corporate identity with the use of Facebook Management.